Alors que cette tragédie se déroulait en Nouvelle Zélande, un merdia polémiquait une fois encore à propos du burquini… entre autres invités connus pour leur penchant assumé de vomir tout ce qui touche à l’arabité ! Sur d’autres plateaux (CNews & RMC), une poignée de ces abonnés aux propos décomplexés avec Elisabeth Lévy d’une part, Olivier Truchot et Gilles-William Goldnadel de l’autre débattaient déjà pour dire à l’unisson qu’il fallait faire très attention qu’à la suite de cette tuerie en Nouvelle Zélande, les médias ne puissent plus dénoncer ce qu’ils ont l’habitude de déverser à longueur d’émissions, et sur les dangers de « criminaliser toute critique de l’immigration ou toute personne qui s’inquiètera du changement démographique de nos sociétés » et autres propos du même cru qui sont leur fonds de commerce les faisant exister dans ces merdias. Où est sa voix ? Que dit-elle à propos des « esprits » qu’arment et polluent à longueur d’antennes ces ‘éditocrates’ dont, à la suite d’Anders Breivik lors de son massacre en Norvège, se revendique le tueur australien Brenton Tarrant, déclarant explicitement qu’à travers son geste, il a voulu « venger la France, victime d’une invasion par les non-blancs » ? . Et de citer ses références en la matière, brandissant la théorie du ‘Grand remplacement’, allant de Renaud Camus à Marine Le Pen en passant par Alain Finkielkraut, roi de la victimisation et « sous-philosophe » comme le qualifiait Pierre Bourdieu. 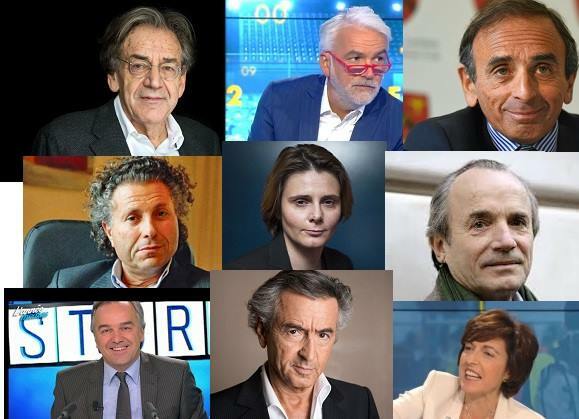 Tous champions non-déclarés d’un suprématisme blanc qui ne dit pas son nom, et sionistes avérés pour la plupart d’entre eux. Dans un papier écrit fin 2018, Julien Lacassagne, professeur d’histoire et de géographie, reprend une déclaration de Michel Onfray en 2015 disant : « L’islam, un sujet sur lequel on ne peut pas s’exprimer » dont il pointe l’ineptie, « tant la production éditoriale concernant ce ‘problème’ n’a jamais été aussi abondante ». Indiquant que « Les productions éditoriales de cette année  montrent une part démesurée d’ouvrages consacrés aux dangers de l’islamisation, juxtaposés à ceux de l’immigration, de l’incivisme scolaire ou de la criminalité ». 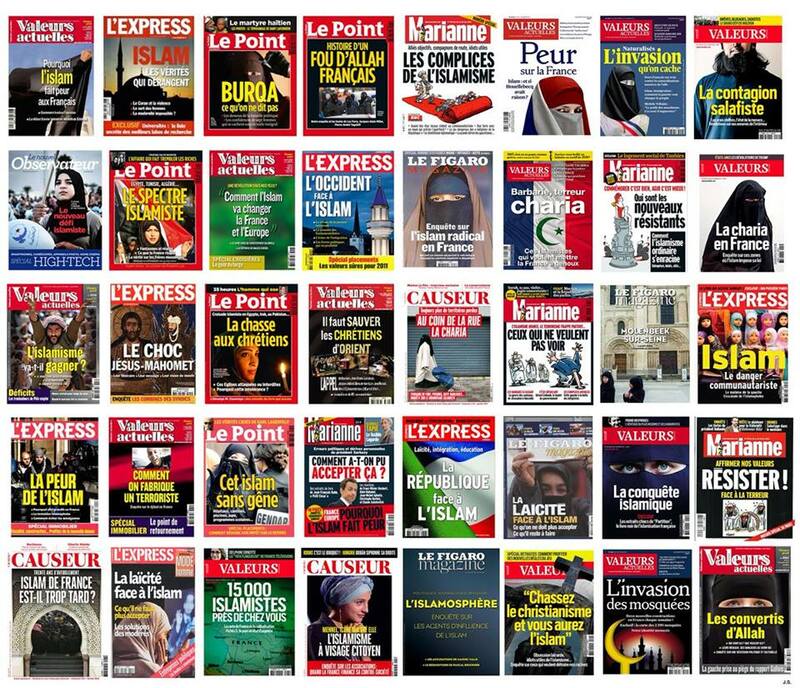 Ajoutant un peu plus loin que « Cette avalanche de titres semble confirmer (…) qu’il y a un juteux marché de la peur de l’islam et de l’immigration, remarquablement exploité par les éditeurs ». Et soulignant qu’« il y a bien une vie ultérieure de l’antisémitisme occidental réincarné en islamophobie, et qui ne se contente pas de le remplacer car il alimente aussi sa propre résurgence. Est-ce vraiment étonnant qu’Eric Zemmour, contempteur féroce de l’islam, se fasse le défenseur du régime de Vichy et de Philippe Pétain qui auraient permis de sauver des Français juifs » ? Et vu la prédominance du discours politico-médiatique ambiant, désormais aucun pays n’est à l’abri de tels « actes terroristes » et certainement pas la France qui alimente et entretient depuis des années une politique identitaire et discriminatoire vis-à-vis des ressortissants arabo-musulmans au point que l’ONU vient de publier un rapport qui en dénonce les dérives. 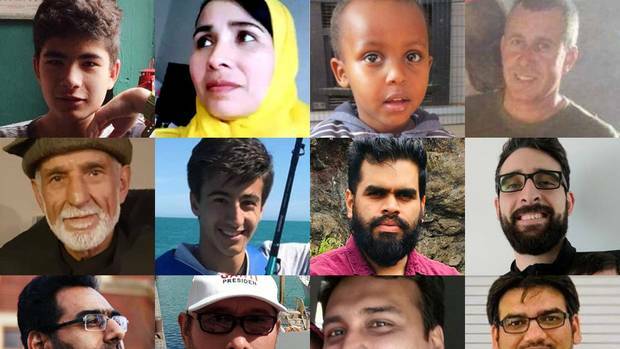 Days after the inconceivable act of terrorism in Christchurch, details about the victims are still emerging.Friends and family have spoken to media around the world and paid tribute on social media to those murdered and injured in Friday’s shootings at two of the city’s mosques. Here’s a list of what we know so far. Abdi Ibrahim described his little brother as « energetic » and « playful » and said he « liked to smile and laugh a lot ». He confessed he felt nothing but « hatred » for his brother’s killer. Omar’s father confirmed his death. According to CNN, Rosemary Omar dropped her son off at the mosque then drove round the back to find a parking space when she heard multiple gunshots. She drove back to the front and saw « lots of bodies outside ». Four of Adan Ibrahin Dirie’s five children managed to escape, but the youngest, Abdullahi, was killed, said his uncle, Abdulrahman Hashi (60), a preacher at Dar Al-Hijrah Mosque in Minneapolis. Adan Dirie also suffered gunshot wounds and was hospitalised. The family fled Somalia in the mid-1990s as refugees and resettled in New Zealand. Syed Areeb Ahmed, 27Ahmed moved from Karachi for a job in New Zealand 18 months ago to help support his family back home. One of his uncles, Muhammad Muzaffar Khan, described Ahmed (27) as deeply religious, praying five times a day. Education was always his first priority, Khan said. Ahmed worked for PwC, who posted a tribute to him on Facebook calling him a « loved and respected » member of their family. « His smile, warmth, dedication, respect and humour will be deeply missed, » the post read. Family and friends have gathered at Ahmed’s house, where his body is expected to arrive in the coming days. The family was told Ahmed and a friend had arrived at the mosque just before the shooting began. His friend survived because he was parking the car. Rashid died at Christchurch Hospital after trying to wrestle a gun from the shooter at the Al Noor Mosque. Originally from Abbottabad, where he worked in a bank, the 50-year-old became a teacher after moving to Christchurch. His brother-in-law Dr Khursheed Alam confirmed to ARY News that he had been killed in the attack. Alam told the BBC he was proud of Naeem Rashid’s bravery. Talha Rashid was Naeem Rashid’s oldest son. Aged 11 when the family moved to New Zealand, he had got a new job and was hoping to get married soon, the BBC reported. « A few days ago when I spoke to Naeem, he told me about his plans to come to Pakistan and get his son married, » said Talha Rashid’s uncle in Lahore. Another of Naeem Rashid’s sons was being treated for his injuries. Haroon Mahmood, 40Mahmood leaves behind a wife and two children, aged 13 and 11. He earned master’s degrees in finance from Shaheed Zulfikar Ali Bhutto Institute of Science and Technology in Pakistan and then worked in banking in Pakistan, according to his LinkedIn profile. A tutor in economics and statistics at Lincoln University from 2014-16, he also lectured in business at Linguis International in Christchurch from 2014 until April 2017, and joined Canterbury College in May 2017. Sayyad Milne, 14Sayyad’s father has spoken through tears of his « brave little soldier », who died at the Al Noor Mosque. 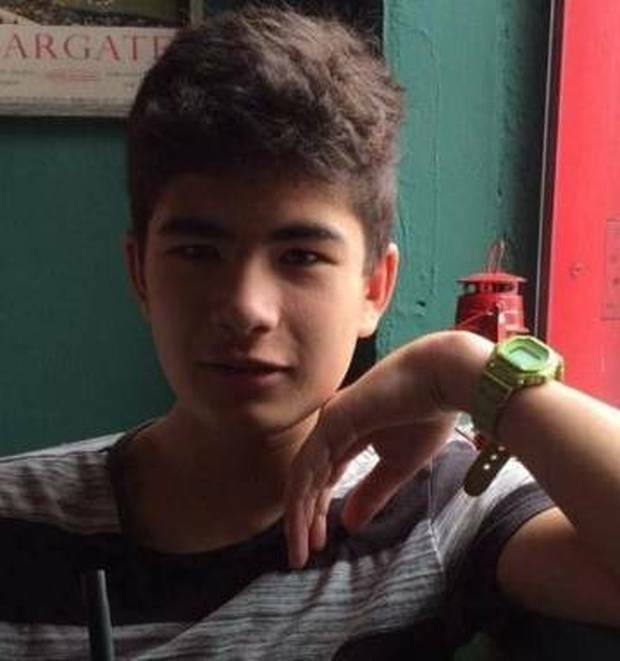 His father John Milne told NZME through tears: « I’ve lost my little boy, he’s just turned 14. I’ll get it together again. « I haven’t heard officially yet that he’s actually passed but I know he has because he was seen. « I remember him as my baby who i nearly lost when he was born. Such a struggle he’s had throughout all his life. he’s been unfairly treated but he’s risen above that and he’s very brave. A brave little soldier. It’s so hard … to see him just gunned down by someone who didn’t care about anyone or anything. « The community is shattered, » Milne said. « The Muslim community just don’t know what to do, where to go, what’s happened. They’re finding it very hard to accept but there is so much support from so many different people, people who aren’t Muslim. Support across the board. Khaled Mustafa and son Hamza, 16Mustafa and his family thought they had found safety in New Zealand after fleeing the bloody chaos of Syria only a few months ago. But it was in New Zealand that he was shot while praying with his two sons. Hamza is missing feared dead and Zaid (13) is recovering from a six-hour operation on his wounds at Christchurch Hospital. Ali Akil, a spokesman for Syrian Solidarity New Zealand, said Mustafa’s wife and daughter, who were not at the mosque on Friday, were in « total shock, devastation and horror ». « They survived atrocities and arrived here in a safe haven only to be killed in the most atrocious way. India’s ambassador to New Zealand issued the following names of Indian citizens who were killed in the mosque attacks: Maheboob Khokhar, Ramiz Vora, Asif Vora, Ansi Alibava and Ozair Kadir. Osama Adnan, 37Adnan was of Palestinian origin and in the process of applying for New Zealand citizenship. He had previously lived in Egypt. Ismail was reportedly with his twin brother when he was fatally shot. The father-of-three was married and his mother also relied on him to care for her. The goalkeeper for the national and Canterbury men’s futsal teams, was shot as he prayed. Farid Ahmed refuses to turn his back on his adopted home, despite losing his 45-year-old wife, Husna Ahmed, in the Al Noor Mmosque attack. They had split up to go to the bathroom when it happened. Kahn owned two restaurants in Christchurch. Outside one of them, the Indian Grill, yesterday, a handwritten cardboard sign said simply CLOSED. A handful of pink flowers were laid nearby. The owner of the shop next door, Jaiman Patel (31) said he helped the staff with keys after the terrorist attack that claimed Khan’s life. « He’s a really good guy. I tried to help him out with the setup and everything, » Patel said. She described her 57-year-old husband as a « very kind man », but struggled to say more. His mother was « struggling », he said. Youngest son, Mohammed Hamid (20) said they had checked everywhere but his dad couldn’t be found. Patel, a leader of the Fiji Muslim League, died at the Linwood Mosque. He was visiting Christchurch with his wife. Javed Dadabhai is mourning for his gentle cousin, believed to have died in the first mosque attack. Mortara was the breadwinner of the family, supporting his mother, wife and their three children, ages 1 to 5. He had inherited his father’s shop, which was covered in flowers on Saturday. Moustafa was originally from Egypt. « My father said how important it is to spread love and unity among each other and protect every member of the society we live in, » he told Al-Jazeera. Omar Nabi told the news network his father ran an Afghan Association and helped refugees settle in their new country. Originally from Madhur Hailla village in Bangladesh’s Kurigram district, Abdus Samad was among two people of Bangladeshi origin who died in the attacks, according to Sahahriar Alam, the country’s state minister for foreign affairs. « He was a very pious person », Rahman said from Kurigram. 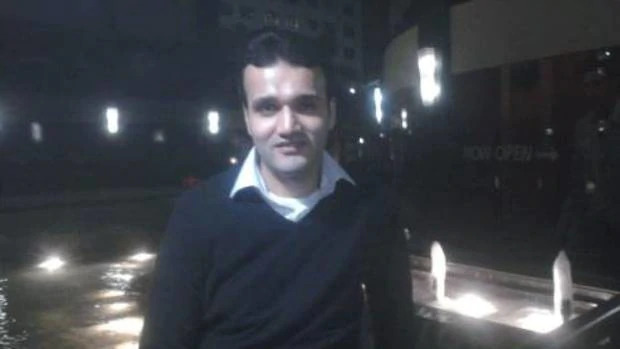 The Afghan Embassy in Canberra said a man of Afghan origin, Matiullah Safi, died in the attack. The statement on Facebook did not give additional details, but condemned the attack as « barbaric » and said three other Afghan nationals were wounded. 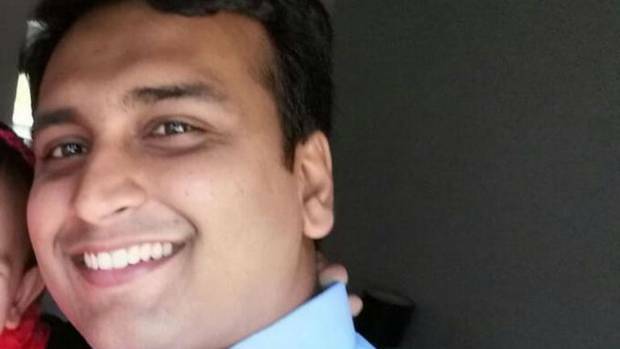 A popular and respected father-of-two who worked as an engineer for Air New Zealand is among those killed at the Deans Ave mosque. 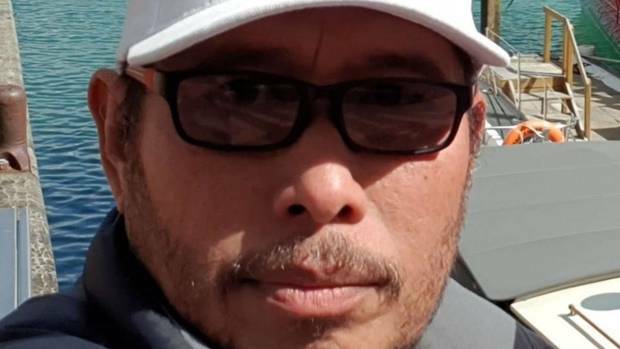 The airline confirmed Lilik Abdul Hamid, an aircraft maintenance engineer in Christchurch, was in the mosque at the time of the attacks. Air NZ chief executive officer Christopher Luxon said the airline was devastated. « Lilik has been a valued part of our engineering team in Christchurch for 16 years, but he first got to know the team even earlier when he worked with our aircraft engineers in a previous role overseas, » he said. « The friendships he made at that time led him to apply for a role in Air New Zealand and make the move to Christchurch. His loss will be deeply felt by the team. « Lilik, his wife Nina and their children Zhania and Gerin are well known and loved by our close-knit team of engineers and their families, who are now doing all they can to support the family alongside our leadership team and the airline’s special assistance team. Egyptian authorities released the names of four citizens killed. They were: Munir Suleiman and Ahmed Jamal al-Din Abdul Ghani, both 68, Ashraf Morsi and Ashraf al-Masri. Tarek Elwassimy, Egypt’s ambassador to New Zealand, said the bodies will be transported back to Egypt or buried by Tuesday. « We went to school together, » his friend Abdul Qayyum told Daily Mail Australia. « There was a game we used to play called Last Card. Friends of Bhuiyan have been gathering outside cordons with photos of him pleading for information on his whereabouts. Elmadani and his wife migrated from the United Arab Emirates in 1998. The retired Christchurch engineer always told his children to be strong and patient, so that’s what they are trying to do after the tragedy, his daughter, Maha Elmadani, told Stuff. « He considered New Zealand home and never thought something like this would happen here, » she said. He was seen saying to officers in TVNZ footage: « He’s been missing since 1.30 and we know nothing about it. I came to the mosque and they told me go to the hospital. « I do not know where my son is, » his father Mohammad Sayeeduddin told the Herald from his home in Hyderabad, India. « I have been in contact with his wife Insha in New Zealand since it happened and we don’t know anything. A Jordanian man said his 4-year-old niece is fighting for her life after being wounded. Sabri Daraghmeh said by phone that Alin remains « in the danger phase » and her father, Waseeim — Sabri’s brother — is in a stable condition. The Daraghmehs are of Palestinian origin, but have Jordanian citizenship. The Palestinian Foreign Ministry said Saturday at least four Palestinians were killed, but acknowledged they could have been counted by Jordan or other countries. 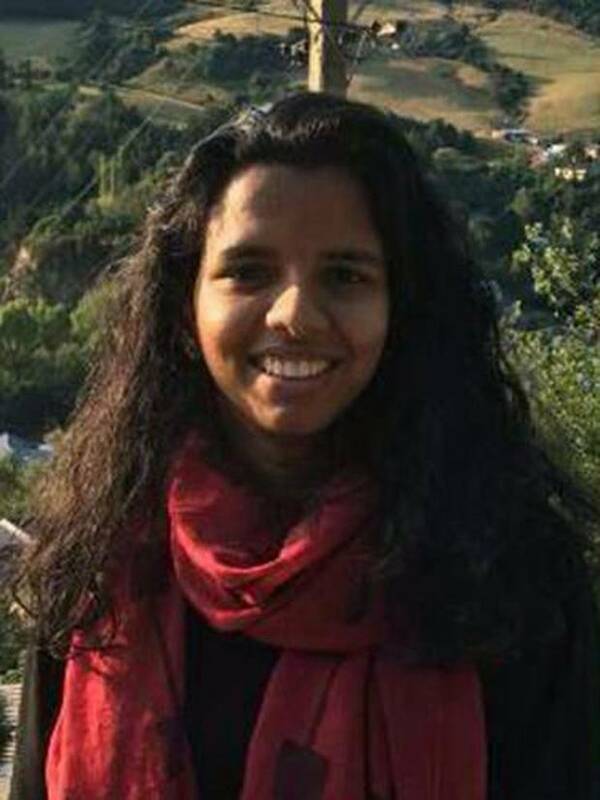 Nasasrah spent terrifying minutes lying underneath two dying men as the gunman kept firing. The assailant « would go out and bring more ammunition and resume shooting, » said Nasasrah, speaking by phone from Christchurch Hhospital where he was recovering from two shots to the leg. The Jordanian, who is in his 60s, co-founded one of the mosques in 1993. His son, who is in his 30s, was also wounded, according to Muath Elyan, Mohammed’s brother. 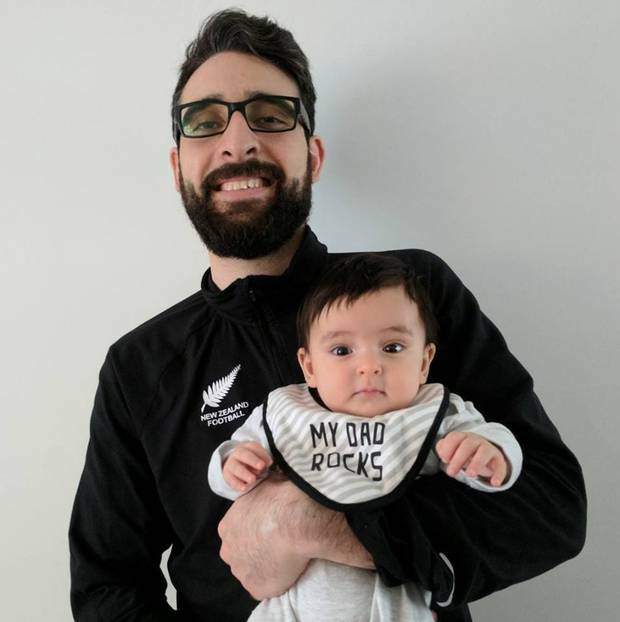 Muath Elyan said his brother helped establish the mosque a year after arriving in New Zealand, where he teaches engineering at a university and runs a consultancy. His brother last visited Jordan two years ago. Nasir and his son were just 200 metres from the Al Noor mosque when everything went wrong. A car driving by stopped suddenly and a man leaned out the window pointing a gun at them. They ran but Muhammad Nasir could not keep up with his 35-year-old son. He sustained critical injuries. Nasir, who lived in Pakistan, was on the third week of a visit to his son. Sami was shot in the back as he dove to protect his sons, Abdullah (29) and Ali (23) Gulf News reported. « My dad is a real hero. He got shot in the back near his spine in an attempt to shield my brothers but he didn’t let anything happen to them, » Adeeb’s daughter, Heba, 30, said. Sami, described by Gulf News as a Dubai-based New Zealander of Iraqi origin, underwent surgery to remove the bullet and his daughter said he’s recovering. Alta Marie said her husband Zulfirman Syah shielded their son, Averroes, during the attack at Linwood Masjid. Syah’s bravery meant he was hit with multiple bullets and sustained much more complex injuries than their son Averroes, she said. Late last night, in a social media post, she wrote: « He is in stable condition following the extensive exploratory and reconstructive surgery he had earlier today. While he is still in the intensive care unit at this stage, he will be moved to the general ward whenever it is deemed appropriate (likely in the next day or so). « While the road to recovery will be long, his condition has only improved since he arrived at the hospital yesterday. This afternoon he had a visit from the Indonesian ambassador, which lifted his spirits. « Averroes (our son) sustained minor injuries and had surgery this morning to extract some shrapnel while checking for internal injuries. He is recovering nicely and has been cheerful while keeping the staff on the children’s ward entertained with his talkative and energetic nature. The family moved to Christchurch two months ago. The Dunedin early childhood centre owner was critically injured in the Christchurch terror attack which left his son dead. 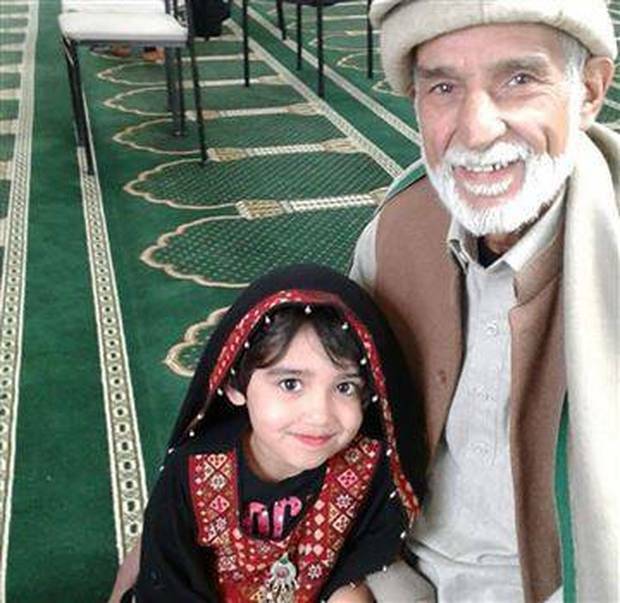 Dr Mohammad Alayan, who owns An-Nur Early Childhood Education and Care Centre in South Dunedin, was critically injured in the attack, said Otago Muslim Association former chairman Steve Johnston. 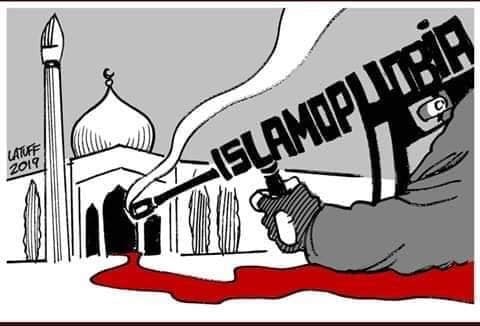 He was with his son Atta Elayyan, a goalkeeper for the national and Canterbury men’s futsal teams in Christchurch, who was shot and killed as he prayed in the Masjid Al Noor Mosque. Johnston said, as of last night, Dr Alayan was out of ICU.